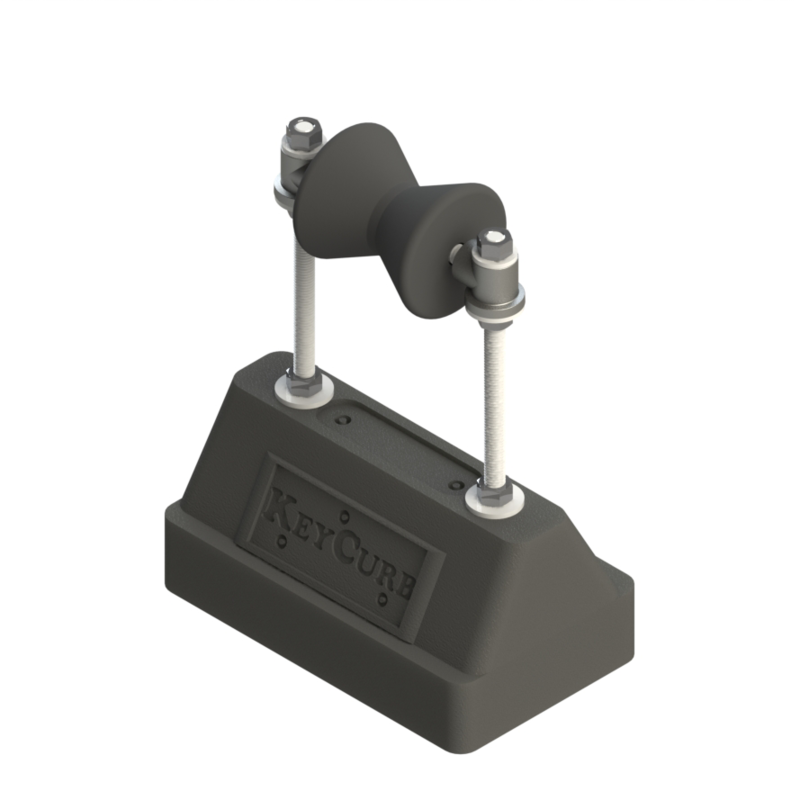 The KeyCurb system gives your roller supports a solid base and can be designed to fit almost any complex installation. Choose from the low profile or the extension height models. 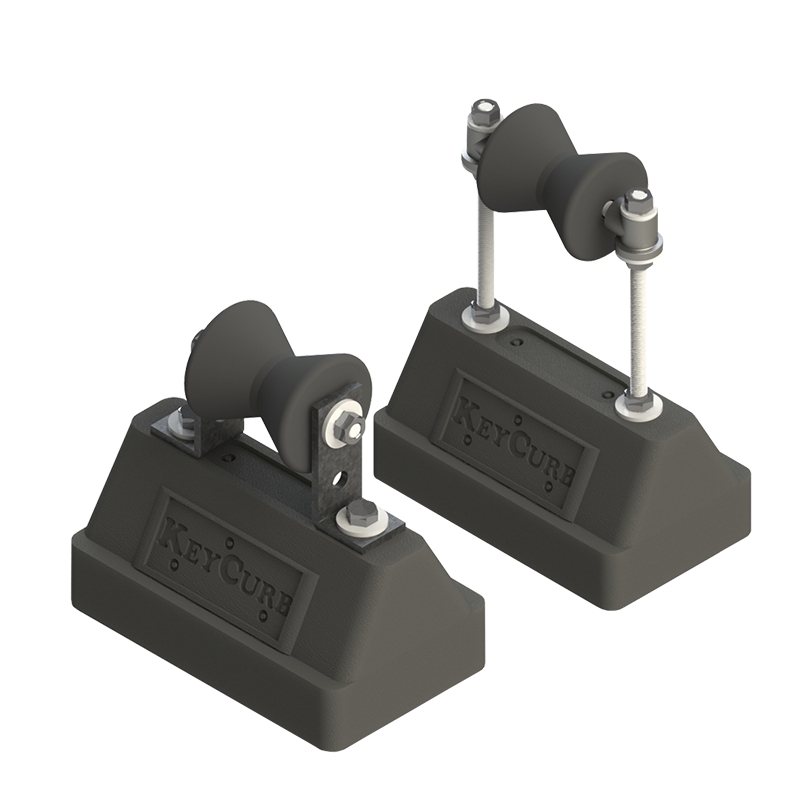 KeyCurb units do not need support pads and are easy to install. 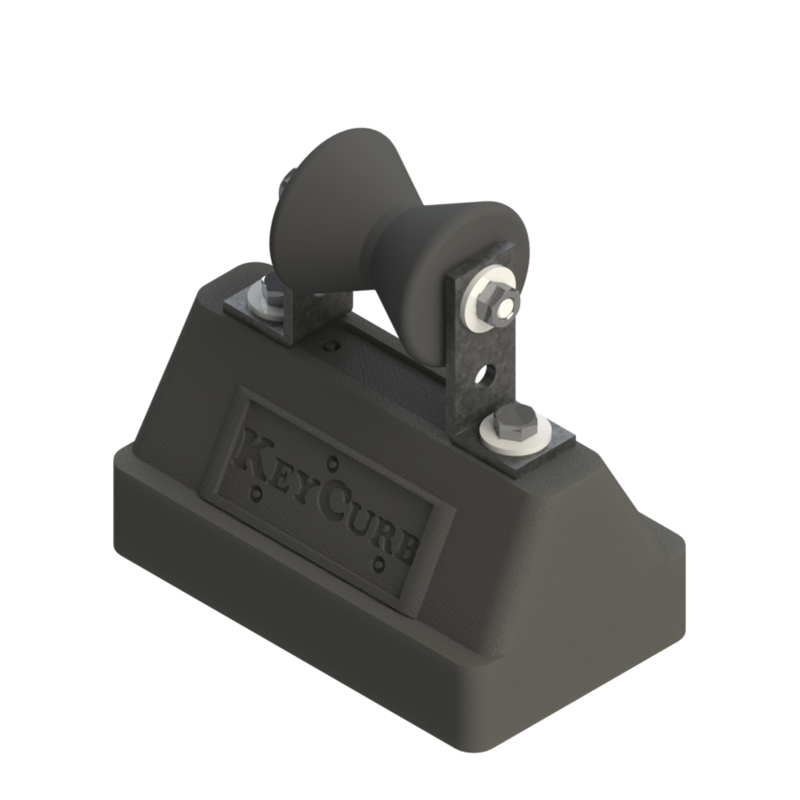 KeyCurb: Molded recycled rubber - each unit is 6" wide by 10" long, by 4.88" high. 5 lbs. Load: Designed to support pipe diameters from 1/2" to 4" with a maximum pipe load not to exceed 150 lbs per ten foot spacing. Roller: Molded plastic 3 1/2" wide. Extension Models Include: (2) adjustable carbon steel threaded rods and fastening hardware.